Every year we watch the Oscar nominees and presenters trot down the red carpet to sit through a night where we expect them to accept their victory or defeat with equal aplomb. As laypeople, we judge their designer dresses, make up and hair, their speeches and bemoan or cheer those who win as confusing or richly deserved. We all look forward optimistically, hoping these awards will further our favorite actors, directors and other filmmakers’ careers. Whether they do or not, we are always in for a mix of boredom, surprise, pretension and earnestness. Is this year going to offer anything we don’t already expect? 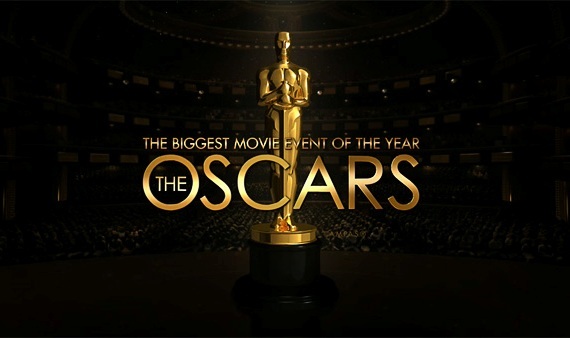 Let’s take a look at the nominees, and my take on who will walk away with what…Patch is holding a virtual Oscar party you can join in on and here is all the info you’ll need to add your opinion to the mix this Sunday. OK, here we go. Note that if I haven’t seen any or most of the films, or I still don’t know enough about the category yet, I don’t comment, and say N/A. Why will Argo win? Because the runaway train that is the Ben Affleck backlash has no way to slow down. In a way, I agree we should give it to him, only because he was shut out, but on the other hand, Kathryn Bigelow felt no love either, and she doesn’t have Gigli in her past. She can’t help being a girl. So let’s let them cross each other out and give it to Lincoln. A beautiful, well-acted, well-crafted movie with humor, history and glorious production design, Lincoln is most deserving. Nevermind that Spielberg owns Hollywood, he still deserves it. Why will Jennifer Lawrence win? Politics. Or lack thereof…The bad press about Zero Dark Thirty has hurt Chastain’s chances, which is very unfortunate. She was a powerhouse and deserves the win. Lawrence was great and both actresses are in for years of nominations, but she was part of an ensemble cast that I feel should be taken as a whole and no one actor should be singled out. That’s probably why they were all nominated. It is cool to note that this year we are seeing the record oldest and youngest nominees at the same time. That cancels them both out…Or Emmanuelle Riva will win…not likely. Why will Christoph Waltz win? Well, there is no telling if he will. This is a bit of crystal ball territory. Philip Seymour Hoffman was his usual consistently great self as the sweaty manipulator in The Master, but few have seen that movie, so he has less chance for that reason. Robert DeNiro is the best he has been in years, more restrained and less “DeNiro,” but he doesn’t have as much momentum this awards season as the others. Tommy Lee Jones, up until recently the most likely to win, has grumpiness against him, which is no reason to keep the award from him, and his performance was one of nuance and invention, but he famously sports something of a Texas accent, which is off topic to his character. The controversial darling Django Unchained has several other actors who could have easily been nominated, especially Leonardo DiCaprio. Waltz, however, is the heart of this ambiguous morality tale. Yes, kids, we are in for another earnest yet eye-roll-inducing speech, given the fact that she has won every award this season, and that the rest of the field, save Sally Field, is oddly stacked. Amy Adams was good but not a knockout, Helen Hunt was more lead actress and the Academy hates that kind of bait and switch, and Jacki Weaver, again, is part of an ensemble cast wherein no one cog should be singled out from the finely oiled machine. Field is a very distant possibility, depending on how sick the voters already were of Anne’s awkward sincerity. Since we know Sally Field may not be much better in her acceptance, we’ll assume it’ll go to Anne. Since her performance was remarkable, she deserves it. Here is a big bunch of noise, screams of “we was robbed” still echoing from both the far reaches of Ben Affleck’s fandom and strong-willed, independent women everywhere. Both he and Bigelow were shut out of the Best Director category. I loved Argo but I’d give it to Spielberg for Lincoln or certainly Ang Lee for Life of Pi, which is an amazing achievement, given Lee had an unknown actor, a CGI tiger and an ocean as his director’s palette. It is a gorgeous film that works far better some would say then the book on which it is based. As to Bigelow, she has drowned in a sea of water boarding controversy, and, well, she’s a woman, so she can only win once a decade, apparently. Controversy aside, the film is a tightly constructed, beautifully crafted film that deserves recognition, but whatever. I choose David O. Russell because he is who deserves credit for Silver Linings coming together. Once again, scripting is front and center in the best of what movies have to offer this year. No contest, however, that as much as Russell crafted in his film an honest and somehow still charming portrayal of mental illness, Kushner is well respected and lauded as a writer in Hollywood, and Lincoln is worlds better as a script. I’d hate to think that the sheer genius of it went over the voters heads, since it is writers voting for writers. Here’s one case where I hope my wish comes true. You kids have no idea how much experimentation and expansion is happening in the world of animation right now. With each new feature, comes new techniques, better software and new inventions that are resulting in more lifelike, more deeply colored or visually compelling imagery and characterization. I wasn’t really on the Wreck-it bandwagon (with apologies to several friends who worked on it!) but Brave, ParaNorman, and Frankenweenie are all gorgeous, exceptional and inspiring pieces of animation, each with unique qualities worthy of an award. It is a time I’m very proud to be a part of the world of animation. Having said that, an entire film in black and white stop-motion with a broad collection of memorable well-developed characters makes Frankenweenie the movie I want to edge out the competition. I’m crazy, right? Such gorgeous cinematography in all these films and I pick a Bond flick? Yes! This movie should have gotten much more recognition, including for Best Supporting Actor and Actress, as well as Best Director. Part of the difference we Bond fans see in this latest in the franchise is how stunningly filmed it is from start to finish. Yes, Life of Pi is deserving as well. The fact, however, that Roger Deakins has been nominated 10 times and never won is a travesty. Give it to him this year for crying out loud. Eiko Ishioka is an amazing costume designer who died on Jan. 21, 2012, after creating the gorgeous and inventive collection for Mirror Mirror. She won for 1992’s Dracula, as well as being nominated for a Tony for M. Butterfly. It isn’t like we have to give awards just because someone passes, but in this case, Mirror Mirror reflects her body of work beautifully, and should be recognized. How often do you see a documentary that actually has a happy ending? Who even saw any of the other contenders? (Well, I did, but who else?) I reviewed this highly entertaining and fascinating “stranger than fiction” story and suspect it resonated most with the voters. I wish Amour not just because it’s a lovely yet incredibly depressing film, but because if they give the Foreign Film award it won’t win the larger prizes, although I love that the Academy is willing to countenance a foreign film as a potential Best Movie or Director winner. Did you hear? She cut her hair! No, seriously, they did a great job at creating the characters from the outside in, especially given the number of close-ups and crane shots. That can be a challenge for makeup and hair design. Who will win: Can’t call it. Every year, the score category makes me so crazy…There have been many years where my choice isn’t even chosen as contender, and this year is no different. Those chosen are all great writers, and any one of them is deserving, although Thomas Newman is one of my favorite film composers, so I might give it to him. Usually if John Williams is up for it, he wins, and at least this year he is coming with one of his best in years. Unfortunately, the inventive and integral score for The Master isn’t in the running, and it’s a shame. Buy it now. It is like jazz, Debussey, and beat poetry mixed together, and becomes like an additional character in the film. Did I say buy it now? I’m a bit torn about the production design in Les Miserables. Such as it was, it was lovely, but the way the film bounced back and forth between tight shots and big crane shots without much in between made me wish we could have seen more and had more opportunity as viewers to experience their worlds from more visual perspectives. Anna Karenina was so beautiful to look at and so meticulously appointed one could watch without sound and be happy. A lovely bit of whimsy mixed with expert animation that every animator friend of mine has oohed and awed over since its release. Dozens of animators from across Disney, Warner Brothers, Dreamworks, and DC can’t be wrong, can they? Don’t they also vote? N/A with caveat: I have friends who do this for a living and am learning more about what goes into the best in sound editing. Next year I’ll have a valid opinion. For now I’ll keep my mouth shut! N/A: refer to the above. You have a movie with a boy, a CGI tiger and an ocean, and you have a movie with a bunch of superheroes and explosions and cataclysmic disasters. Either we follow the “Wow, he kept our attention with just that,” or the “Go big or go home” philosophy. I am inclined to go with Life of Pi. It is genius to do so much with what everyone says will be the kiss of death. Those are my predictions and hopes, and another hope is that you’ll join me, Cinema Siren, on Sunday in our chat room and share your thoughts, rip on the best and worst dressed, and let your fingers do the screaming when your favorites win or lose. You can go to your local Patch site (or if you don’t see it go to Herndon Patch). We’d love you to join our virtual Oscar party!